This room uses mostly brown and its shades plus light-gray. 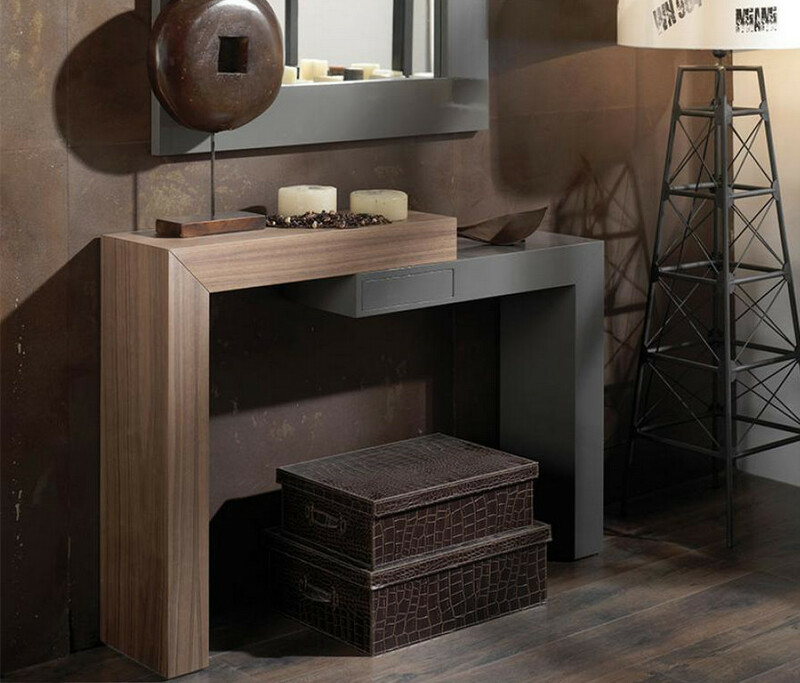 The wall is dark brown and the simple front entry table is the centre of attraction. Instead of your ordinary table, now you have two L-shaped pieces placed upside down. One is taller and the other one is shorter and both their tips are professionally fused to form a usable storage surface. There are matching boxes beneath them.